Military Style Olive Drab Sandbag - Polypropylene Construction, 15 1/2-LB Capacity, Drawstring Closure - Dimensions 27”x 16” | BUDK.com - Knives & Swords At The Lowest Prices! No disaster preparedness kit is complete without a go-to stash of reliable sandbags! Keep these Military Style Olive Drab Sandbags on standby in the event that natural disaster strikes. 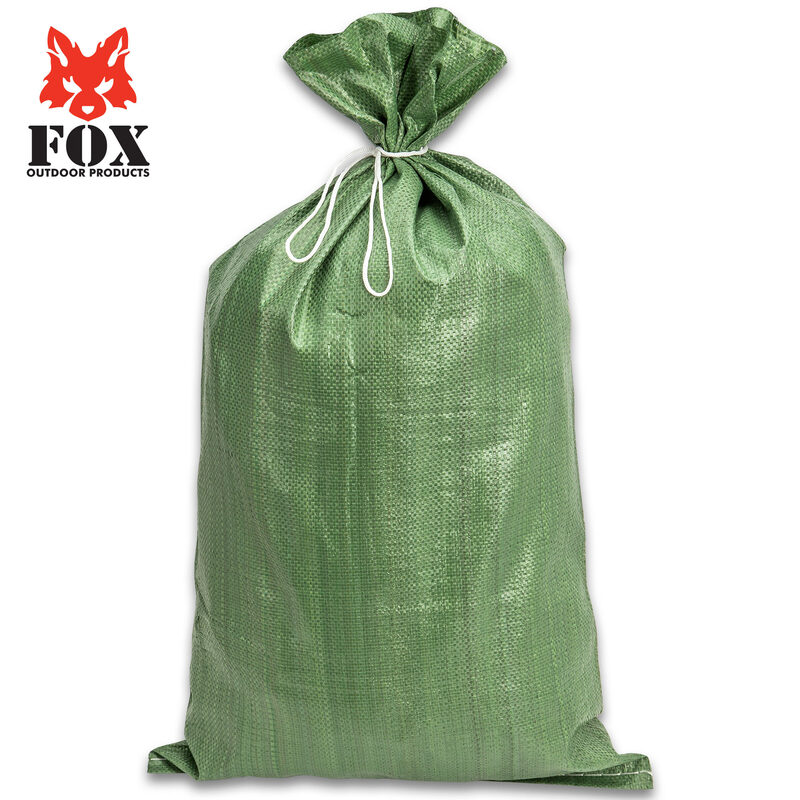 The olive drab, heavy-duty sandbag has a tough polypropylene construction with a drawstring closure. It has an approximately 15 1/2 lbs capacity, when filled with sand, and its dimensions are 27”x 16”. They are also great to use to create a dam for construction purposes. At this incredible price, you can get an entire stash of them!